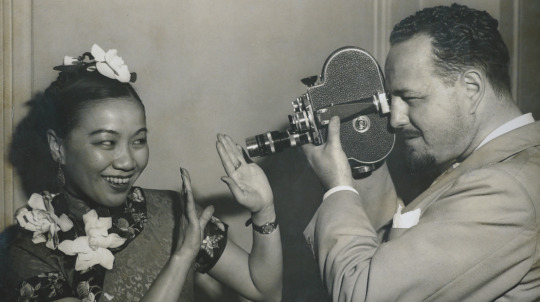 Robin Lung's FINDING KUKAN is the amazing story of Li Ling-Ai, a Chinese American woman who produced the Oscar winning documentary KUKAN, which for a very ong time was believed to be lost. The film is a record of her journey to find the lost film, discover all she could about the makers and to get the film seen once more. Its a seven year quest that brings her all over America, to China and back again. The short version of the story is that in 1942 KUKAN won a special Oscar for documentary filmmaking. The film was the story of the invasion of China by the Japanese and showed the horrors inflicted on the country by the Japanese. It was, according to official records,the work of camera man and writer Rey Scott. However a woman by the name of Li Ling-Ai said that she was filmmaker who won an Oscar for producing KUKAN a documentary in 1942. The trouble was the film had fallen off the face of the earth and no one, not even the Motion Picture Academy had a copy. Director Robin Lung becomes intrigued by the story and she begins to track down as much as she can about Li Lung-Ai, Rey Scott and the film. Along the way she not only rediscovers the film, but uncovers the life story of a wonderful woman who really was telling the truth. I'm not going to say any more. This is a wild and round about ride that you really need to take in order to full appreciate it. Its one of those stories thats just a great deal of fun and the sort of thing you'll want to have a bowl of popcorn to much on as you watch it. While not technically one of the best films at DOC NYC, the film is a bit too rambling in the teling, it is most certainly one of my favorite films at the festival. I think it being a favorite says a hell of a lot more than being the best simply because I find in the long run I treasure the favorites more.